GOVERNMENT WASTE & SPENDING: INHERENT TO GOVERNMENT – Uncle Sam was Crying… Now he's out to change Washington. 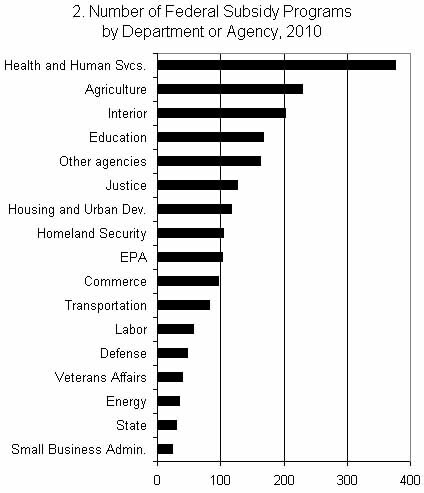 Can you name a government program or agency that is effective? Efficient? Not over-budget? Post Office, no: Amtrak, no; Education (laugh out loud), no. EPA, no. Not one is identifiable. Why do government employees earn, on average, more than the average family income per household? So the majority of American taxpayers earn less than the people who pay their salary. Another irony, of what is known as Federal Government. We’re expected to live within our means, but not our local, state, or Federal Governments. Oh, lest I forget Nancy Pelosi’s infamous quote (which Chuck Gardner would call a “real humdinger”), “We need to pass the bill (Healthcare) so we can know what is in it.” Good grief, enough is enough. Why have we Americans accepted this mentality, attitude, and conduct in Washington? If you or I acted in the same manner as politicians we would be in jail; earning millions in speaking fees; fired from our jobs; or censured like Charles Rangel. When Woodrow Wilson’s administration mainstreamed “progressivism”, the erosion of our society, faith, education, finance, exploded exponentially. I could write pages on the inept methods in Washington. Do your homework. Compare the rise and fall of the US to the Roman Empire. Recently, I watched the new Wall Street movie. In it was a piece of art owned by Gordon Gecko of the Holland Bulb Bubble. All kinds of revolts can arise out of grievances. But, repression and exploitation cannot themselves generate a far-reaching rejection of the political and religious foundations of a society. For that to happen there must be a preparatory period of polarization of attitudes, ideologies, and constitutional views lasting decades. My friends, we are on the precipice of history repeating itself. Have you heard the name Matthew Lesko? You might have seen one of his commercials or infomercials. He is the crazy man wearing a green suit decorated in white dollar signs. He sold many books and one of note was, “Free Money to pay your Bills.” Now that is dripping with irony. Buy the book, apply for government money, well your money, and see if you can get government money free. Of course, the programs offer free money, but in the end, you will still be paying for it. All governments produce nothing (well okay license plates and debt) they inherently burden nations and erect walls to progress. We need to get government out of the way! As Thomas Jefferson said, “I wish it were possible to obtain a single amendment to our Constitution. I would be willing to depend on that alone for the reduction of the administration of our government to the genuine principals of its constitution; I mean taking an article from the Federal Government the power of borrowing.” I do too. The United States is broke and recently surpassed $14 Trillion in debt. This number is absent the unfunded liabilities of other programs like Social Security. Wait, we are broke, yet find the money to bail out corporations. Shall the States of California, New York, or Illinois, be treated differently? Everyone knows history should be our guide to avoid the mistakes of the past. Hmmm, many internet pundits compare and contrast the Roman Empire to America. In my analysis, they are correct. How many existed in 1900? Good Investment for the United States Government? Earn $15,000 annually and you pay $86,000 in payroll taxes for 46 years of work. At Retirement, the annual benefit is $10,008 or 11.7% of lifetime payroll tax. Earn $50,000 annually and you pay $285,000 in payroll taxes for 46 years of work. At Retirement, the annual benefit is $21,204 or 7.4% of lifetime payroll tax. Earn $105,000 annually and you pay $599,000 in payroll taxes for 46 years of work. The Avg. person in 2010 received SS payments of $13,968/yr Couple = $22,704. Beginning in 2015 the Social Security Fund will begin distributing more than it collects. Why? More citizens will be retired and receiving payments than paying into the system. Perhaps evaluating the waste of Federal Government Subsidy programs can provide you another perspective. 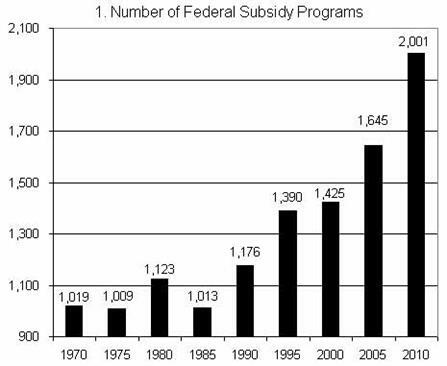 The Cato Institute in October 2006 noted that in 1970: 1,019 Federal subsidy programs and in 2006: 1,696, Federal subsidy programs existed. For example, Healthy Marriage cost $150 million; Safety Belt performance grants cost $124 Million; Incentive fund to raise teachers’ pay – $99 million; Prisoner re-entry job search $21 Million; from 2001 to 2006 we spent $1.3 Billion for American farmers to plant nothing; and in 2005 $4.8 Billion because corn crop yields were low. CATO released an update of the Federal Subsidy Programs in 2010…The Obama Administration increased Federal subsidies … it now stands at 2001! Energy subsidies in 2007 were costly to the taxpayer… $854 million for coal, $1.267 Billion for Nuclear, refined coal was $2.156 Billion; but Renewable Energy received the largest share…$4.875 Billion. Ah, lest I fail to mention the big evil Oil subsidies clamored by the left as evil and costly to Americans because the profit realized by “Big Oil” is outrageous! Sure, it is a no-brainer to demonize the firms when gas prices exceed $4 a gallon; however, the profit per dollar spent is not disproportionate to any other business in America. Liberals, strain to identify accurately what is a subsidy and disregards the government does more to impair oil production than assist it. The oil industry has a marginal tax rate at 41 percent yet the rest of businesses in Standard & Poor’s 500 …26 percent. A current marketing campaign entitled “Boldly Go” for the Social Security Administration via print and video wastes millions of Taxpayer dollars on Patty Duke and George Takai, I am sure they didn’t do it for free, after all this is a capitalist system. Wow, check it out…I am sure you will feel better and more confidant in S.S. once you view the material. Are you nauseous yet? No? Perhaps examination of the T.A.A. Federal Program will do the trick. It provides a conduit for employment growth and opportunity to help American employees who lost their jobs due to foreign trade. The perks are: Up to 130 weeks of cash payments for workers enrolled in full-time training or Up to 156 weeks of cash payments if the worker is also enrolled in remedial or prerequisite training. Job search allowance covering 100% up to $1500; 100% of relocation costs and a lump sum up to $1500 …costs taxpayers $2.075 Billion in 2010.